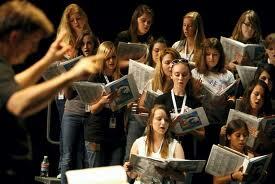 Click here for information about recommended All-State Choir Camps as you plan your summer! You can go to one or multiple camps. The CHS Camp is very laid back and FREE! Ask a director if you have questions. Does your student need a specific time to perform their solo or ensemble? Please have them complete this form by 6 PM tomorrow to ensure that they get the time that they need. Thanks! Enjoy the rest of your weekend. Calling all dudes in choir! See you tomorrow from 10-2 at CHS. Bring your Xbox controllers and any games… Free pizza for lunch. See you there! Many parents may not have been able to attend the Booster Meeting on Tuesday, January 22. Below are links to the videos from that meeting where the Choral Directors answered questions from parents. Please allow time for the videos to load. 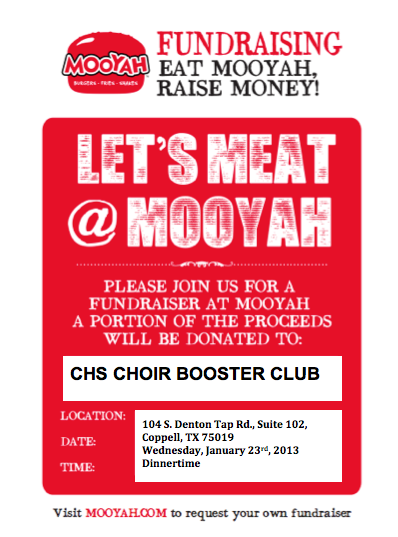 CHS Choir Night at MOOYAH’S THIS WEDNESDAY!!! Final Reminder that we have a meeting tomorrow night at 7 PM in the Choir Room. 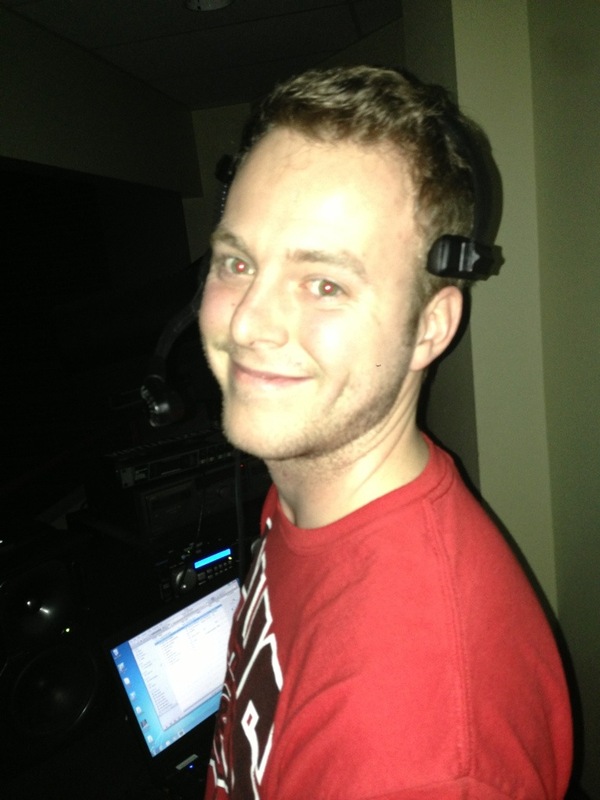 Click here for the information that went out a few weeks ago. The last part of the meeting is optional question and answer. We plan to keep it brief (under an hour). We look forward to seeing you there. Everyone please bring a case of waters so we can increase our stock of waters for the Spring Semester.